So, what is it? Do you use the Italian spelling when not using traditional Italian ingredients? 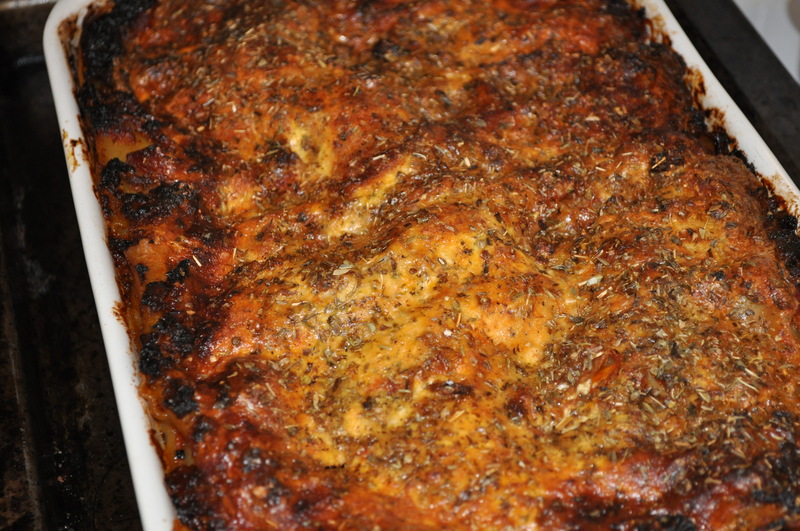 I have been working on perfecting my lasagna recipe. 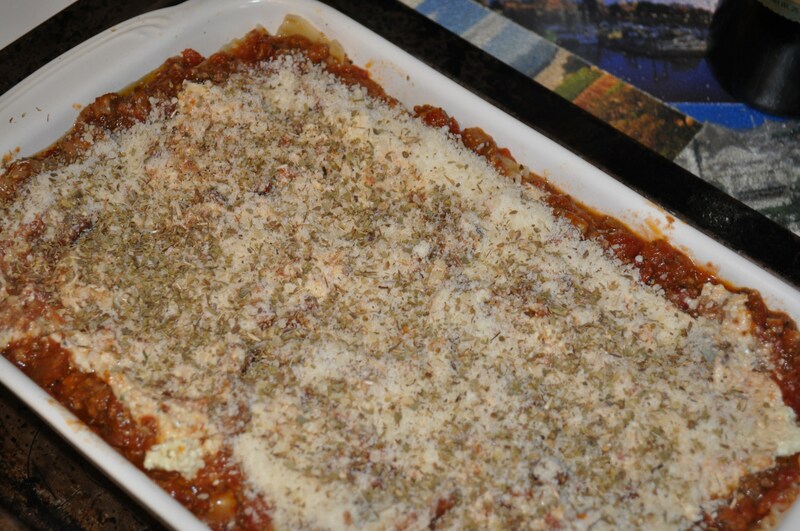 Lasagna because my recipe uses ricotta and mozzarella, not traditional Italian bechamel and ragu lasagne. I made a lasagna today, to use the meat sauce I made on Sunday. It just jumped up and said, I need to be in lasagna. It was right. 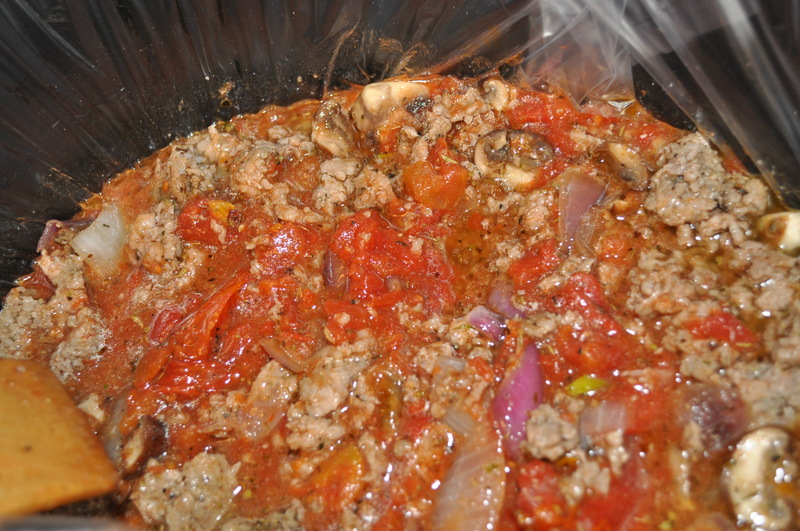 The sauce was made with local sausage, my tomato sauce from the freezer, some onions, mushrooms and garlic and all slow cooked in the crock pot. I served a small portion of the sauce over penne on Sunday night. The rest really needed to be used as the star in a recipe. Lasagne immediately came to mind. But, now I know that the Americanization of the dish substituted ricotta, mozzarella and egg for the bechamel sauce. 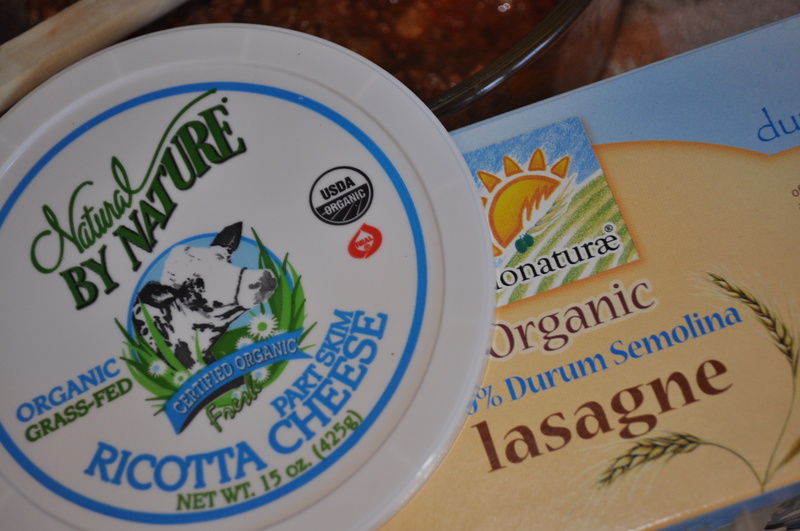 I like our version, so at The Common Market yesterday I picked up ricotta, mozzarella and some durum semolina pasta. There you go! Lasagna from scratch. Ready to go in the oven. This is the sauce base. You then need to make the white part. 15 oz. ricotta, 8 oz. mozzarella, 1 egg, garlic powder, salt and pepper, and 4 oz. milk. I used 8 sheets of lasagne noodles. Layer sauce, cheese, noodles, sauce, cheese, noodles, sauce, cheese. Sprinkle with Parmesan. Bake at 325 degrees for 45 minutes. It comes out looking like this. Yes, it did get a little crispy around the edges. Foil would have stopped that, but I like mine crispy. We will get three meals out of this. 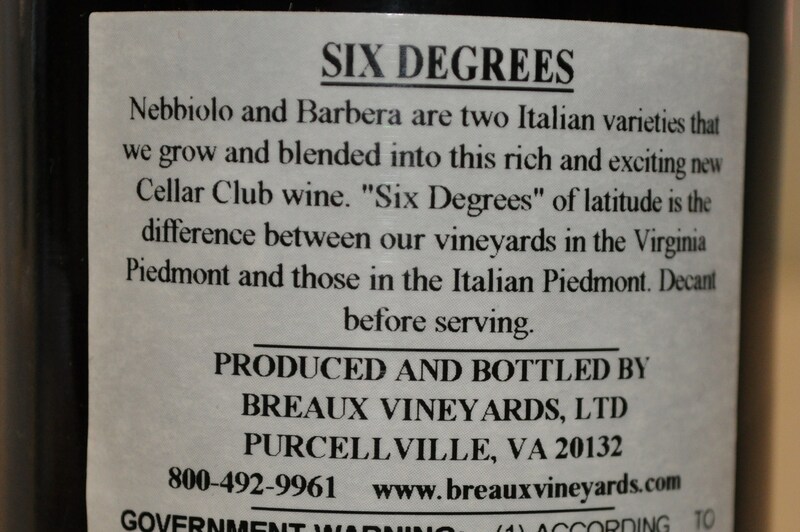 We served it with a Breaux cellar selection Barbera/Nebbiolo blend, called Six Degrees. And, a salad of grapefruit, fennel, red onion over baby greens, with olive oil and grapefruit juice as the dressing. Mostly local, all organic. Absolutely lovely for a Tuesday night. Who cares how you spell it? 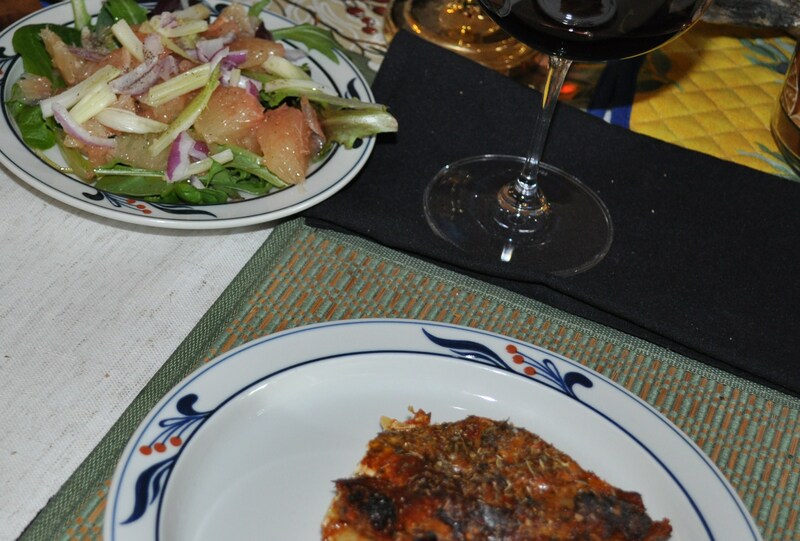 Posted in Food, Local Businesses, Locavore, Real Food, Wine, Winter Eat Local and tagged cooking, Food, foodie, local businesses, Locavore, real food, wine. Bookmark the permalink. Lasagna singular, lasagne plural, sheets of pasta that is!